This year, the network will be testing livestreaming integrations for red carpet coverage, including using Twitter's Periscope and Orad Hi-Tec Systems' Augmented Reality to add 3D graphic overlays to the live video feed. For the main event, it will be presenting the All-Access Livestream in partnership with T-Mobile, which will allow viewers to choose their own viewing experience from more than 20 cameras positioned around the event. There will also be an exclusive audience-focused camera angle called the Unleash Cam that will be activated when a certain number of Twitter users tweet with the hashtag #FrontRowUnleashed. "New app-based livestreaming technologies are just another way for us to tap into the excitement and real-time nature of our events, and to develop different approaches for the different features and communities specific to each of these apps," said svp of connected content for MTV Colin Helms. MTV has used livestreaming technologies before, mostly for live musical performances and behind-the-scenes coverage. Earlier this week, it completed a Periscope session with The Fault in Our Stars author and VidCon co-founder John Greene. More than 1,300 people watched the 20-minute session during which Greene received more than 700 questions. Helms said MTV wants to experiment with both Periscope and Meerkat to find out how the two platforms could create opportunities for fans to interact with talent. Because both are native on social media, it can also help leverage the network's online following—more than 218 million fans across Facebook, Instagram, Vine, Tumblr and Twitter. The network specifically chose Periscope for the MTV Movie Awards because of its integration with Twitter. 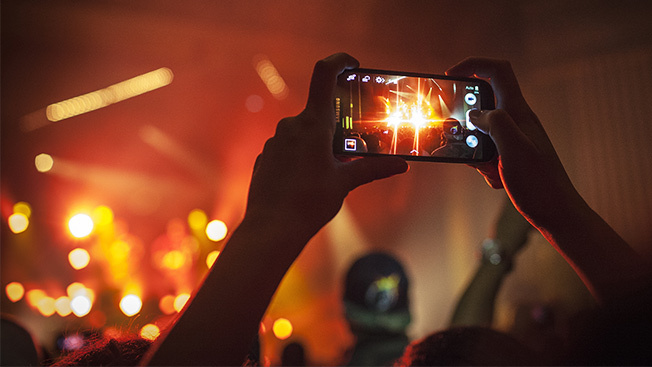 "Periscope's deep connection with Twitter allows us to leverage our robust Twitter following, which is one of the key ways we connect with our audience during live events," Helms explained. The network is also excited about the possibilities for the All-Access Livestream to create a second-screen experience for viewers. It's working with social media influencers who will help curate the choose-your-own camera angle options by suggesting which feeds to watch. In the past, Helms said, other All-Access Livestream initiatives have been able to deliver millions of streams, but he isn't expecting a huge audience because MTV is experimenting. "We expect the audience on these newer platforms to be smaller, as they're still fairly nascent, but still an important piece of our overall strategy to program differently for different platforms," he said. "As these new apps and platforms grow, our hope is to grow our communities there with them."